Muzarkan is a mobile arkanoid-like music game where a player fights against evil aliens. Protect musicians while they are playing concerts around the world and use their music to destroy alien spaceships invading Earth. Fight against evil alien super-droids equipped with unique weapons and features. Build your own strategy and apply it to quickly destroy very annoying “singer” and “stinky” super-droids. 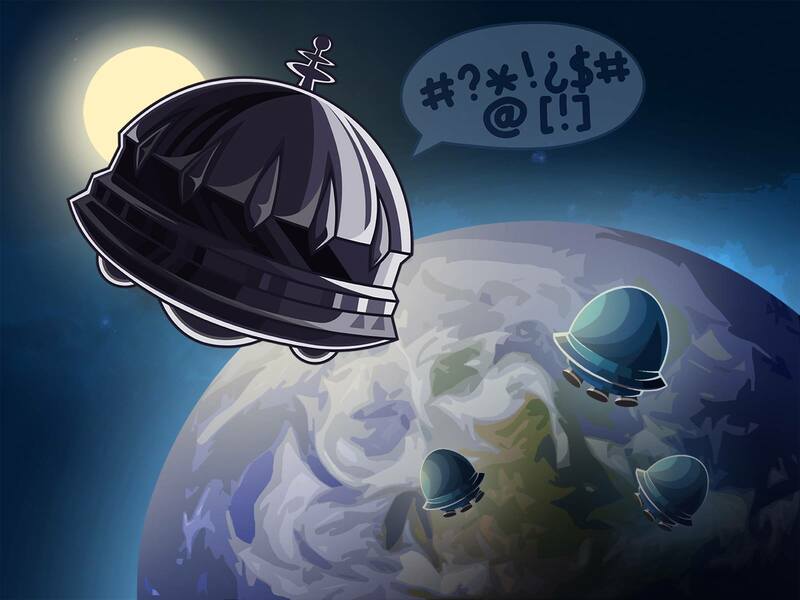 The game contains lots of levels with different backgrounds, catchy music and variety of enemies including mighty alien bosses you will need to destroy. Play levels with your own tactics and earn high score to be at the top of other players in the score board. The game’s goal and main idea is to promote musical talents via the gamer community. We know how difficult it can be to become recognizable, especially if you are limited in budget. Contact us to share your music with Muzarkan players (your name and playlist URL will be highlighted in the game). We can design a custom game level for your band. This will include the concert stage displaying the band’s name, logo and even custom character animation. The game is in the final stage of the development process and will be released Q4 2017 for both Android and iOS platforms.